[ Editor’s Note: Gordon is our own in-house source on Iraqi Kurdistan as he worked in Erbil during the last Gulf War. It is a closely knit place, and he even had a match with their national arm-wrestling champion. Gordon won. Colonialism never really ended in the Mideast. The carving up of peoples into different states, to create long term internal opposition in the control and access over a nation’s resources created ready made partners for later Western “re-colonialism”, the soft glove kind. The current situation is a perfect example. The US and its two main War of Terror allies, Israel and Saudi Arabia, after another failed chaos catastrophe in Syria, aimed at Iran of course, are quickly replacing it with plan-B, using the Kurds in Iraq as the new cannon fodder. The US gets a “two-fer” with opening a new front threat toward Iran, one much closer where the Israelis would be moving to Iraq’s Kurdistan, and then also dishing out some payback to Erdogan for his Russian oil pipeline and nuclear plant deals, his being a guarantor with Iran and Russia on Syrian deconfliction, and then buying the S-400s from Russia. The Turkish Defense minister has called for sanctions to be ready to impose if the independence referendum goes forward. Baghdad has threatened military action if any is used on non-Kurds who are opposing the referendum. 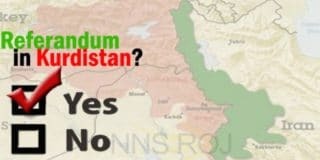 With the Kurdish referendum vote upcoming, a few things are clear, “clear as mud” as the saying goes. After all, everyone loves the Kurds, the warmest kindest people on earth. Is this why the Turks are slaughtering them or why Baghdad is in an uproar or why, when we take the clock back a bit, American President George Herbert Walker Bush allowed a defeated Saddam Hussein to gas 30,000 Kurds to death with tacit American approval? Maybe it isn’t the Kurdish people themselves, but something else. We are going to take a look at the upcoming vote and those involved behind the scenes. We begin. The Kurdish referendum is, perhaps, the single misreported and misrepresented event in recent times. To the fake news consumer, the Kurdish people are looking for a government of their own, no longer under rule by Bagdad. This of course is true, although steeped in alternative facts, spin and conjecture. In reality, the scam of the century is going on. Let’s jump right into it and not waste any time. The new Kurdish nation will be a “jack of all trades” for the clients who have operated the Kurdish people like hand puppets through their oligarchical leadership. Yes, we are talking huge Swiss bank accounts and many years of affiliations with Israeli, American, Turkish and Saudi intelligence agencies. The Kurdish people themselves, perhaps among the most decent and forgiving people on earth, hold down some of the most valuable real estate on earth. They sit on or near huge oil and gas reserves, pipeline routes and, perhaps more importantly, could be formed into a snake-like nation stretching from near the Mediterranean in Syria, across that nation, though Iraq and into Iran to the Caspian Sea. The Kurds, who wish only for their diaspora, spread across the globe, to return home to safety and stability, will find themselves again “in the soup.” You see, there would have been no ISIS in Iraq without the deal cut between the Saddam’s former Baathists, the army built by General Petraeus, combined with Saudi cash, CIA training and an army of Israeli advisors. The hotels of Erbil, and excellent hotels they are, no longer the lonely “Erbil International” of a decade ago, have now for years played home to the ISR (Intelligence/Reconnaissance and Surveillance) teams that made ISIS a force to recon with. Erbil, with its international airport, was the real headquarters of ISIS. “Businessmen” working for imaginary oil companies moved in and out, security agencies escorting them to “the front,” their expertise, their high-tech equipment, the eyes, ears and strategic planning for the Islamic State, al Nusra, the Free Syrian Army and a dozen other groups as well. Heavy equipment, that not supplied by CIA paid traitors in the Iraqi and Syrian Army who turned over billions in military hardware to terrorists, flowed the ratlines, Aqaba in Jordan, Israel, Saudi but mostly the Balkan route through Turkey, everything from poison gas to advanced TOW missiles. Behind this is history, not just 20 years but a thousand years, more, as empire after empire hammered the Middle East, the major players like Egypt, the Persian Empire or the Ottomans or the latter day “flash in the pan” actors like the French, British and now the Americans. Kurdistan used to be Sumaria and Chaldea, Ur and Nineveh, 6000 years of history beginning prior to the creation tales of the late comer Israelites. We recognize the Kurds as a unique ethnicity as early as the 15th century when their rocky relationship with the Ottoman Turks began, one being fought out today on the battlefields of Northern Syria 500 years later. As the West divided the Middle East at the end of the Great War, creating such entities as modern Turkey and the Saudi Kingdom, there was to be no home for the Kurds, a people set adrift in history, much as with the Palestinians in the aftermath of that second Great War. Where Palestinians were expelled and marginalized, Kurds existed as a minor thorn in the side of the Turkish juggernaut until it was time for the CIA to bring them into play against Saddam. 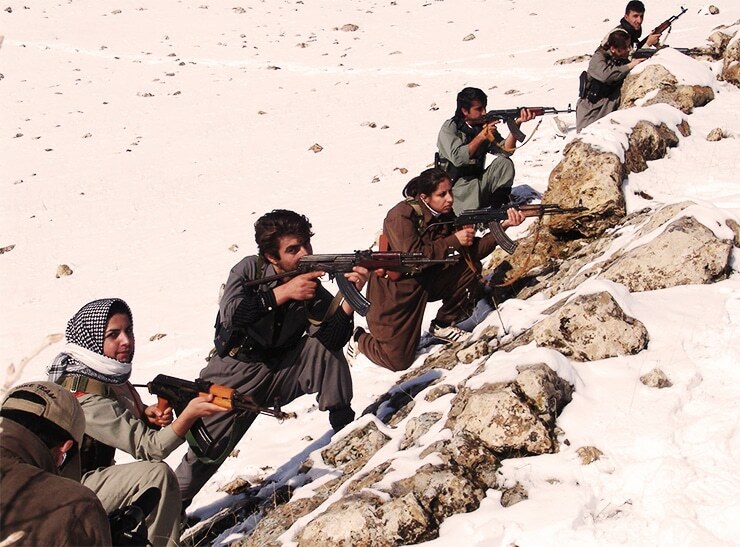 Heretofore, the CIA had infiltrated the Kurdish regions of Iran, fomenting discord in the aftermath of the 1979 Islamic revolution that went so very badly for American interests. Israel used the Kurds to infiltrate Iraq, spying on Saddam’s weapons programs and buying their way into the dissident tribes who would play key roles were Saddam gone. Was it Israel that maneuvered Saddam into Kuwait, passing on American approval for Saddam’s incursion seemingly fully backed by Bush 41, initially at least. Is this one of the earlier events where the Saudi-Israeli nexus of mischief reared its ugly head? Would this also be a sign that the Saudi-Israeli and Turkish penetration of the US State Department and CIA hijacked American foreign policy? 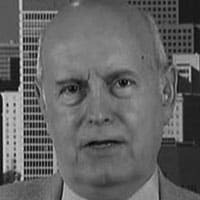 Was the rise of the neocons during the late 1990s another? What about 9/11? Today’s Kurdish “situation” may well be simply a “fallback position” with the impending defeat of ISIS. If Trump is controlled by a foreign intelligence agency, isn’t it more likely to be Israel than Russia? Is America’s move, pushing the Kurds into Deir Ezzor and into direct confrontation with the Syrian Arab Army and Russia there to serve Israeli interests? Is the simultaneous effort by Saudi Arabia offering its “good offices” to settle the Erbil/Baghdad rift just a bit too obvious as well? If America under Trump is, as many suspect, an Israelo-Saudi client state, would an expanded effort by Saudi Arabia, Israel and the US to use a Kurdish state as a platform for moves against Iran and renewed terrorism across the region be a certainty? Will Erdogan’s Turkey sit this one out, flanked, minimized, blocked from EU membership or will a rival alliance be formed? Will a Pakistan now at odds with the US eventually break with Saudi Arabia, recognizing that nation’s role in Afghanistan and its negative impact on Pakistani security? When examining national interests and historical context, do we too often ignore simple bribery and blackmail and the role such efforts now play on the world’s stage? Much of the “magic” behind the successes of the Islamic State were exactly that, bribery and blackmail, Iraqi and Syrian commanders or even entire governments in Washington, Erbil and Ankara. Without a larger “tool box,” the upcoming referendum may well provide the backdrop for a generation of slaughter, the last thing the Kurdish people want. Somehow the Kurds have not caught on to the fact they are being used bu israel and the west. If they do then all bets are off. The amount of mischief and suffering caused by israel and its puppet state, the U.S. is going to cause a great deal of blow back and sooner or later both nations will become themselves targeted for regime change. One problem and it is a very major problem, is that America is now in the process of economic and fiscal collapse. Very soon it will not be able to maintain any military presence anywhere in the world as it will be so economically devastated it will be forced to withdraw within itself. The federal reserve will no longer kite Wall Street or the Stock Market and as stock prices plunge to their real value, some of them at penny stock prices, Americans will see their retirements collapse and soon the government itself will collapse. Washington will have no choice but to go either total all out war or witness the demise of American society that is already under way of disintegration due to identity politics and debt.It will also drag israel down with it. Will the world be better off when this happens? At least there will be no more wars in the middle east created by the terrible two. Not now Kurds! Not now! Can´t you see it, you´ll be in a far better negotiating position in a few years from now! Why do a lot of dirty work now? You can not excell now in anything but muddle, and that for other countries as well. Why bother? Later on, you can do your own thing, for your own, at your leisure. Don´t be used – use them. “Can´t you see it, you´ll be in a far better negotiating position in a few years from now! Why do a lot of dirty work now? ” – You nailed it Gary. That would be the smart play. But the catch-22 there is the long history of cut throat politics in Iraq, where there is little trust among the parties, as their core power is tribal based, and the country itself is a wagon train that everyone want the insider track on looting, as they thinking is, and is probably true, that if they don’t loot it, the next behind them is going to. This is why manufactures can only run part time because their is no electricity. Hence people have survival part time jobs instead of full time ones where they would be bigger spenders. Maybe they should rename Kurdistan to Exxonistan and BPistan. Just saying. The extraordinarily malign role of bribery in high places sounds all too plausible, Gordon – the more so, the more muddled and complicated the picture. Smells of bloody wars ahead. Turkey to a small extent resembles USA’s role within NATO, no other NATO member state acts alone like US and Turkey do. God only knows how long will NATO be able to consume Turkish territory for Middle East incursions now that all potential Atlantic integrations there have become impossible. US would probably be luckiest on earth to have at least half of Caspian sea states under its umbrella. But with some autonomy and lifted embargo for US weapons (not that is stops the US in anything) Kurdistan can be tossed as a powerful weapon against Iran for starters and then for any, by US-Israeli standard ‘out of order’, country.